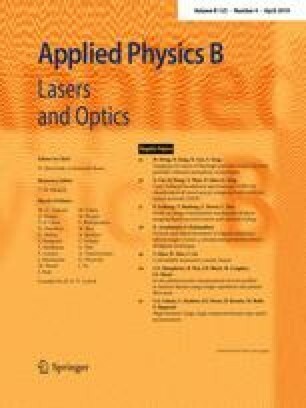 In this paper, laser-induced breakdown spectroscopy (LIBS) combined with artificial neural network (ANN) was investigated to classify four species of wood samples (Africa rosewood, Brazil bubinga, Myanmar padauk, and Pterocarpus erinaceus). The wood samples were ablated by laser pulses to generate plasma emission, which was measured by a spectrometer and transmitted into a computer for further data analysis. The feature spectral data were selected out based on loadings of principal component analysis (PCA) and normalized using the sum of all feature spectra data. The ANN model was built based on the feature spectral data to classify the wood species. The relationship between correct classification rate (CCR) and settings of ANN was discussed. The CCR of ANN model for test set data achieved 100% with multilayer perceptron network and Broyden–Fletcher–Goldfarb–Shanno iterative algorithm. This result was also compared with the CCRs of PLS-DA, KNN, and SIMCA model for test set (82.5%, 95.83%, and 51.67%, respectively). Using the ratio between feature variables to recognize the species of wood was also discussed. The experimental results demonstrated that LIBS integrated with ANN could be applied for analyzing and recognizing wood species. The research was supported on the National Natural Science Foundation of China (NSFC) under Grant 61775017.